Styles of soldiers’ commemoration reveal national self-images. 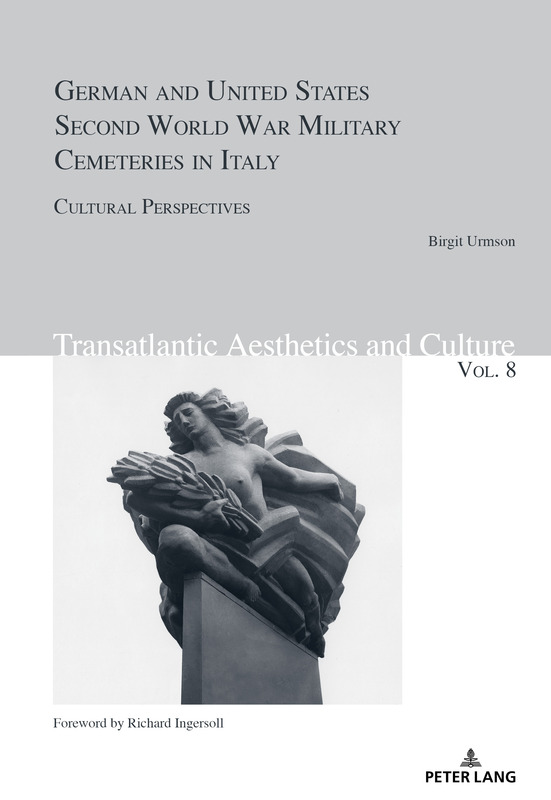 US WW II military cemeteries in Italy and their German counterparts are analyzed as art-historical artifacts. Their aesthetics, together with results of archival research, reveal a self-assured US united in values, projecting victory and Pax-Americana while a struggling Germany searches for its democratic identity and a place within the community of civilized nations. In Italy, the US relied on imported European classicism as taught at the influential American Academy in Rome and interpreted through the personalities of the cemeteries’ designers. Germany’s designs, rejecting Nazi classicism, progressed through an inherited unique blend of medievalism with modernism toward a contemporary style that integrates modernism and expressionism. The US honors soldiers’ death as worthy sacrifice for the nation’s greatness and the world’s future. Germany focuses on mourning and interprets soldiers’ death as tragedy whose only meaning can be an admonition to seek peace. IV. Paul Manship: The Best of American Art? VII. Impruneta’s Patriotic Embellishment: Message & Beauty. IX. Robert Tischler’s Hegemony in Italy: Continuity and Change. X. Cassino/Caira. Between Tradition and Innovation. XI. The Futa Pass: A New Form makes an Appropriate Statement. XII. The Futa Pass: An Exoneration of Weimar Republic’s "Aberrant Art?"